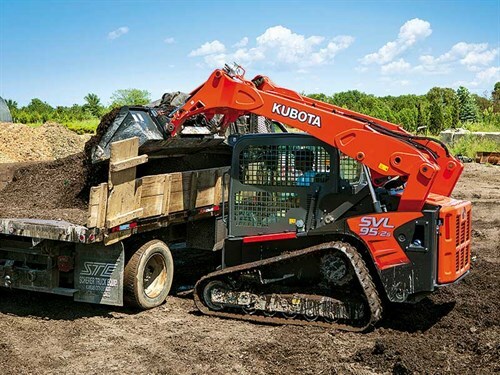 Kubota NZ says the new SVL95-2s takes the place of the SVL90-2 compact track loader in the Kubota product line-up and is scheduled to arrive shortly at dealerships nationwide. The new SVL95-2s has been designed to handle heavy-duty lifting and loading chores and has the versatility to handle a variety of other work assignments, such as ploughing, drilling, or trenching. "Kubota is raising the bar with the introduction of our new SVL95-2s. 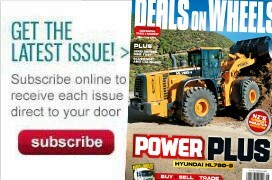 This new compact track loader offers a heightened level of performance and convenience features," Kevin Hamilton, Kubota NZ CE sales manager, says. "With its more powerful engine, five-way adjustable high flow hydraulics, 1451kg rated operating capacity, and quiet, radio-ready interior, the new SVL95-2s offers customers unparalleled levels of utility and refinement." At the heart of the SVL95-2s is a new, more powerful high-flow hydraulic system, which can be programmed and instantly adjusted at the push of a button to adjust flow rates from 19 to 151 litres per minute—a 19% improvement over previous models—and at line pressures of 245 bar (3553 PSI). Kubota NZ says the unique vertical lift is designed to deliver an exceptionally long reach of 1033mm, enabling the SVL95-2s to provide high performance and productivity. Powering the SVL95-2s is a turbocharged, liquid-cooled, four-cylinder diesel engine with a Common Rail System (CRS). In tandem with Exhaust Gas Recirculation (EGR), a Diesel Particulate Filter (DPF), and a Selective Catalytic Reduction (SCR) system, the CRS enables the engine to produce 71.2kW (96.4 gross horsepower), while adhering to Final Tier IV emissions standards. The interior of the SVL95-2s, when ordered with a cab enclosure, also comes radio-ready—prewired from the factory and equipped with an antenna, speakers, and mounting bracket. In addition, the unit is six inches longer and the radiator fan has been relocated further back to the rear of the vehicle, helping reduce interior noise. Read more about new releases and stay updated with what's happening in New Zealand's construction industry.